Search Engine Optimization and Social Media are no longer distinct channels. They are forever intertwined, each affecting the other in terms of how digital information is discovered, consumed and shared. The subsequent impact on reach and engagement means the integration of these channels is as relevant for Public Relations as it is for Marketing. I was asked by Melanie Mitchell, SVP of Search Marketing at Digitas to give a presentation on holistic SEO at ad:tech San Francisco where I caught up with another amazingly smart friend, Susan Bratton. She recorded an interview with me on the Social & SEO for Public Relations topic for her popular DishyMix podcast and shared the transcript with me to repost. 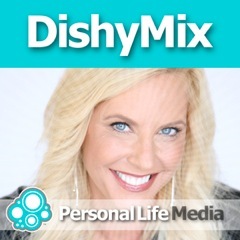 Susan Bratton: Welcome to DishyMix. I’m your host Susan Bratton, and I’m with Lee Odden. Lee is the founder and CEO of TopRank Online Marketing. He’s a friend of mine and we’re here at ad:tech San Francisco live to hear Lee’s latest thinking about something we’ve decided to call the ying and yang of search and social. So welcome Lee. Lee Odden: Thanks Susan. It’s great to be here. Susan Bratton: I know it is. You love to talk with me don’t you Lee? Lee Odden: Of course I do. Susan Bratton: and that was, what was the title of that session? Lee Odden: Modern Search Optimization. Susan Bratton: Okay great. And really your unique market differentiation is that you have both a deep knowledge of public relations, PR strategy, online news dissemination and also search engine optimizations, and you’ve taken those two things and laid in all of the new social ramifications for online marketing. So now you have these kind of three things that are really the domain of what you do and what you like to do is take those three things and optimize them all together so that they become a greater possibility than siloing them as unique disciplines, right? Lee Odden: one of my favorite things still to eat [inaudible]. Lee Odden: Yeah, it’s fabulous. Lee Odden: Macaroni and cheese and… Anyway, so of course the peanut butter was the SEO and the jelly was the social media and what holds it all together is content in media, and because that really serves as a vehicle, you know. In terms of search, the reason search exists of course is because of all that content out there, we’ve got to organize it, make it easy to surface what’s most useful, the best answer, if you will. And social plays a really big part in terms of things like Link Acquisition. If you’ve got really great content that’s worth linking to no one will know about it unless you promote it, and one of the most effective ways to promote really great content, like yours, is to create channels of distribution or – well for example, RSS feed gets published when you make a blog post or your email newsletter goes out. Also making it very easy for search engines to come and visit, make a copy of your stuff and then there you are in the search results. So by promoting content through social channels to your social network, for example, it gets visibility to the population that, there’s so many people empowered to publish. They’re bloggers themselves. They can make comments on blogs, and those activities can result in links back to your stuff. Links drive traffic, and you can get a latent lift in traffic by those links being recognized by search engines. So the other side of this of course is that a lot of the outcome of social interaction is content. So on the one hand, the yen maybe, it’s an SEO that’s using social networks as a way to promote their content so they can attract links and grow further an audience. The yang might be the social media person that’s really more interested in engagement but they could actually optimize their social content to make their social network more easily discovered by people who are searching. I mean for example, I talked about a client who’s selling fabric, it’s an online fabric retailer. And the persona of target was a crafter, do it yourselfer. And so there’s people out there looking for how-to articles. They’re looking for videos or instructional information or ideas, and what a great thing to have in the search results. Not just somewhere where they can buy stuff, but where they can connect with other people. So it’s a great way to grow social network by optimizing that social content and make it easy for people to find that are looking for what the community has to offer. Susan Bratton: by someone and they had an hour a week to both – not include in the creation of it – but an hour a week to promote it in some ways. Give me the rank order of how you would tell them to spend their time. That’s a good question. Susan Bratton: Isn’t that a good question. I really. Susan Bratton: People hear the crowd cheering [inaudible] but no pressure. Susan Bratton: All right, well lets start with consumer oriented content. Susan Bratton: about how to find their market than, you know, a bigger market of the consumer. Susan Bratton: You know nothing about pillows. Susan Bratton: Oh, okay. That’s good. I didn’t know about that. Lee Odden: And those are ways that you can, you know, be a resource and by being a resource you’re kind of making a promise that wow, you know, you’re really well known for being a resource for X or for Y. And I think in order to do this kind of thing you should think ahead a little bit about what you want to be known for, and that messaging would then guide subsequent search, research and interaction for you to be a resource, you know what I mean? Susan Bratton: Yes, I do. Lee Odden: Because people could look at it and just go, “Oh yeah, that’s a great tool. I’ll go try that out,” and they’ll have no methodology behind it. They’re two or three or four weeks into it and they’re like, “Ooh. Everything thinks that we, you know, we only sell bar cloth fabric, but we sell NFL fabric dammit,” or whatever, I don’t know. But you have to think ahead about that, what’s the long-term outcome of your behavior, and not just in its ability to reach your goal, but how you’ll be seen through this type of activity. Susan Bratton: Go back to a couple things here. I want to go a little bit deeper into this question. So you’re going to search on whatever your thing is and you’re going to go to Twitter. Lets just say you go on Twitter and you search for people talking about crafting, whatever. Lets make it something really straightforward like curtains, sewing curtains for your kids room. So you go into Twitter and you search for kids curtains or whatever, and then you see that, you know, five people have talked about it. What do you do with that information? If they’re not following you how do you respond to them or what are you doing? Lee Odden: “You know, we are a company that does this.” I mean you can, you know, in your bio on the Twitter account, the company or branded Twitter account or whatever you’re using. Of course it needs to be transparent what it is. Lee Odden: I think that’s really important. Susan Bratton: So you add them on Twitter. Obviously we know how to comment on a blog. Susan Bratton: You said boardtracker.com, what is it like a meta search on bulletin boards? Lee Odden: It’s a meta search on bulletin boards, yeah. Lee Odden: And a lot of people in the reputation management business will use that to find people talking in a certain way about their brand forums. Lee Odden: You can also use it as an opportunity to search for engagement opportunities. Susan Bratton: Mm hmm. And are there other places that you would look or search to get into the conversation? What other kinds of conversations could you get into? Susan Bratton: I know, it’s been a while. Lee Odden: at the time. So and we talked about ironically – I don’t mean to sidestep – but we talked about wouldn’t it be great to marry social media monitoring with web analytics. Why doesn’t that exist? And ironically it kind of exists today, doesn’t it, with Radiant 6 and Web Trends and other companies. But so to answer your question, it would be through a social monitoring tool. That’s going to give you a more robust measurement or detection tool to identify conversations occurring according to particular topics. And that will give you some opportunities for engagement in this way, probably more efficiently but expensively than something like Twitter or blogsearch.google.com. Susan Bratton: That’s Andy Beal’s product. Lee Odden: Yes that’s Andy Beal’s. Susan Bratton: and that’s like I think $18 bucks a month. Lee Odden: it’s pretty low cost. He keeps adding to it, enhancing it and the price stays the same, so that’s pretty awesome. Lee Odden: I think using Google Reader and RSS feeds on queries that occur when you’ve done a search on some type of news site like Google News or Bing can be pretty effective. A lot more effective than Google Alerts. Susan Bratton: What is it about Google Alerts that’s so ineffective? Lee Odden: Matching is crap. I mean, you know, I’ve had a Google Alert account for a long time like all of us have, and it can’t possibly be that no one’s talking about me anymore. Susan Bratton: I’m talking about you. Susan Bratton: Yeah, it’s gotten worse. It’s interesting isn’t it. Lee Odden: It’s gotten worse. Yes it is. And so for whatever reason, when you subscribe to an RSS feed in Google Reader – what I mean is go to Google News or Blog Search, do a search, find the RSS icon at the bottom of the page, bring that into Google Reader, and now whenever a news item appears then you can see it in your reader. Speaking of, there’s a really creative way to, if you import that RSS feed into Twitter Feed you can automatically populate a Twitter account with news that matches a certain keyword query, which is kind of an interesting thing to do. I do that with a Top Rank Twitter account and it posts maybe once or twice a day with that kind of news item, and then of course 90% of the rest of what happens on that Twitter account is people. But it’s a nice way to automatically add something that’s relevant because it’s a keyword filters it out into your Twitter stream. Susan Bratton: So with your clients right now, where are you putting most of your emphasis? Thank you first of all for answering the question about if you only had an hour a week what would you do. I really think that was a very sound piece of advice. And I think it’s extremely realistic to think that we probably only have an hour a week to triage our businesses in the best way we can unless we have, you know, a large staff of people supporting us. So thank you. Going back to this yin and yang of search and social, what is it that we should be doing intelligently and strategically to leverage the combination of the two together the way that social and search manifest on the web right now, ‘cause it’s constantly changing? So again, going back to that kind of, you know, one hour a week, where are the holes in our system from the way we used to do things to the way we should be doing them now in our approach to maximizing the combination of search and social? Lee Odden: Well I think one of the starting points is in the planning of it, right. A lot of SEO activity starts with keyword research, and I talked about persona development, that kind of thing, in terms of consumer information needs, creating a profile for what characterizes that kind of person you’re after, what do they search for, what kind of information and in what format do they engage with that sort of thing. Developing a keyword glossary in terms of an SEO best practice is still a great idea. What is it that people are looking for indicative of the product and services you have to offer? But at the same time doing some social keyword research makes a lot of sense. So a keyword glossary from an SEO perspective is a list of keyword phrases, how popular they are, how relevant they are, they have scores associated with them, and how competitive they are. A social keyword glossary is basically topics. In fact we don’t even use keywords, we just say Social Topic Glossary. What does that mean? What topics are people talking about relevant to our mix of products and services? So we have these two lists and we reconcile them to see if there’s any crossover and we know those are really phrases we want to go after, not only in terms of content were creating as terms of articles, press releases or whatever can be crawled by Google Bot, but it might also be useful for social media teams that are out there tweeting and blogging and updating Facebook status updates and that sort of thing, because links that are including in Facebook updates and in tweets do count when it comes to standard SEO on Google, especially with real time results. So the text next to the link is pulled and influences how the destination of the link is perceived by Google Bot for example, or Bing. Susan Bratton: Okay, I didn’t follow that at all. Say it again. Lee Odden: it said Minnesota Vikings Sports Fabric, Get It Here, you know, and then there’s a short URL to it, then the destination page is optimized for that, lets say. Then the text that’s included in the link, in the tweet, is sort of associated with whatever the link is pointing to. Susan Bratton: It came from your social topics glossary, people looking for Minnesota Viking fabric. Lee Odden: Right. And so the social key, the social topics or social keywords are going to influence social media teams use of language when it makes sense, right. Susan Bratton: When it’s human. Susan Bratton: Speak the language of your customers. Lee Odden: Exactly. So and there can be some real time opportunities. You might see something trending, you know. The Winklevoss twins might be I might say, Five Things Winklevoss Twins Can Teach Us About SEO. I would do that, but it would be taking advantage of the rising trend and queries about that particular keyword today, right. When that’s relevant to your business though, that can be very, very powerful. Susan Bratton: So going back to this social topic glossary, what are you doing to discover these queries? Susan Bratton: Advertising your blogs, mm hmm. All right, so we were talking about again this kind of like one hour what do I need to put my attention on to make sure that I’m leveraging the way search and social interoperate now on the web. So can you recap what your first piece of advice was that you just gave me? How would you restate that? Lee Odden: topics that are relevant to your business products and service mix that people are talking about. And put that together, and then use that as a guide, as an editorial guide for social content, and of course also optimization. That way you’re using language in your social content that’s of interest from a word of mouth standpoint and it’s also something that people are searching on. Susan Bratton: and then that’s how I drive the social topics and the keyword searches and the copywriting that I do and all those kinds of things. Do you have any ideas about how to make that even better? Lee Odden: Well look into your web analytics data and do a search against all the keywords that have ever driven traffic and search for things like how-to or just the question mark, and you’ll see the queries that are question format that have actually driven traffic to your website. And if you start to see, “Look, you know, a lot of people are asking about this,” and, you know, if that content isn’t recent or robust on your site then that’s an opportunity to create it. Susan Bratton: What’s your level of interest in Facebook versus Twitter right now for your customers? Lee Odden: For our customers? You know, the retail customers were using both in most cases. For B2B customers there’s a maybe 50% or 60% of them are just using Twitter, they’re not using Facebook as much. They’re using LinkedIn and blogging more so actually. Susan Bratton: That makes sense. And what about press releases? What’s happening with PR and press releases in the world these days? Lee Odden: So I think of PR and public and media relations as something entirely different than press releases as a information distribution vehicle. That’s actually how I think of them now. You know, I’m bias because we’ve been working with PR Web for about four years helping them optimize their platform, and then also helping to market their business to acquire customers. So the people that are customers of PR Web have benefited with press releases now that actually have much better distribution. We track the ranking of press releases and just after the Panda update, traffic is, press release traffic has actually gone up for releases hosted on PR Web. So other services like Market Wire and PR News Wire and Business Wire and whatever are great and obviously peoples with earnings, announcements and that sort of thing have an obligation to do distributions. Susan Bratton: You know what it reminds me of, it reminds me of those old Naps releases? Do you remember Naps? Susan Bratton: It’s like Naps, right? Susan Bratton: It’s like you write an article and you send it out and a bunch of little, little news, little family newspapers from all over the country pick it up and they use it as content. Susan Bratton: It’s essentially, it’s like articles authoring has merged with press release to create a new Naps? Lee Odden: I think so. Lee Odden: but it’s a resource, why not use it? Susan Bratton: Definitely. Absolutely. Yeah, that’s good. Any other things like that that you’ve discovered recently that you’ve said, “Hey, we’ve got to use this for Top Rank Marketing”? Those are the best ones. Lee Odden: Yes. Yes, and nope. Susan Bratton: Okay. I just thought I had to ask in case there was another one that was super simple. Awesome! Okay, so anything else on the search and social integration that you want to end our conversation with? Any words of wisdom or good advice or things that aren’t working anymore that people are still doing that are just like not effective anymore based on something that’s changed? Lee Odden: Well I think over reliance on any one channel is something that, you know, it just, it’s not sustainable. There’s this sort of moving window of interest amongst the early adopters, right. They move from one thing to another to another to another, and people who adopt after that, markets of companies might get the misperception that, “Oh okay, yeah, Twitter’s a hot thing” and “Okay, finally I’m convinced,” and they stick to it, and that’s an eggs in one basket sort of thing. Lee Odden: they’re going to be behind. They could be ahead, I’ll put it that way. It’s not so much that they’re behind, but they could be a lot further ahead. Lee Odden: So they need to allocate resources to testing in experimentation. Susan Bratton: Absolutely. Plus that’s always the most fun stuff. It’s the shiny new thing. And we like shiny new things. Susan Bratton: I know. We’re such nerds, huh? I do. I definitely do. All right, good. Well Lee, what I would like you to do is tell me what kind of a client is a perfect client for you, in case there’s someone listening who thinks themselves, “Oh I really like that Lee Odden. I’d like to know him more.” How can you best help a brand? Lee Odden: It is because the more, the better able they are to implement our recommendations and the more successful they are, and then we can still focus on the things that they simply don’t have expertise for. Susan Bratton: Really those three things coming together. Susan Bratton: I’m not sure, I wouldn’t call them free, but they don’t, they don’t have as big a cost in general as media. Lee Odden: using the kinds of things that we do, right, to augment and repurpose or whatever, things that they never would’ve thought of before. Susan Bratton: I love it. Lee thank you so much. It’s really great to see you at AdTech. You look super handsome by the way. That’s a great looking outfit you’ve got on. Lee Odden: Well thank you Susan. You’re looking pretty awesome yourself. Susan Bratton: And it’s really great to have you back on DishyMix. I want you to come on as often as you’d like. We’d love to have you. Lee Odden: Thanks a lot Susan. Susan Bratton: You got to meet Lee Odden. He’s the founder and CEO of Top Rank Marketing, and a delightful human being, obviously knows what he’s doing, got tons of information and I would really recommend that you go check out his blog because he tells you what he knows. He’s a really awesome information sharer. And he has a very clear style of explaining things, in the written word especially, which is very good. So I really recommend that. All right, I’m your host, Susan Bratton. We’re here live at AdTech. I hope you enjoyed this interview with Lee Odden, and I will look forward to connecting with you next week as well. Take care and have a great day. Bye-bye. See Susan Bratton give the opening keynote presentation at SES San Francisco August 16, 2011. You can find me at SES San Francisco presenting on “Content Marketing Optimization” and “The Convergence of Search, Social & Content Marketing”. I will also be programming the Marketing Masters Search Marketing Track at ad:tech New York November 9, 2011.